Oh yeah, the air conditioner. Is calling Engelsma to set a time for your your air conditioner’s spring inspection on your to-do list? If it isn’t, don’t bother. Order your spring air conditioner servicing online with Engelsma’s $77 Spring A/C Clean and Check. Placing your order online now is faster than it would take you to find paper and pen to start your to-do list. It’s easy. If you’re reading this blog, you can just follow the link and fill out the simple form in seconds. You don’t even have to finish this blog – but you might want to read the next line first. You save money. This special discount is only available online. Sounds great, right? But you may be wondering what’s in it for us here at Engelsma. The answer to that is simple. Efficiency. You may not believe this, but our spring to-do list is likely longer than yours. What to do is mostly the same, spring air conditioning inspections, but the where part makes it long. Receiving spring A/C service requests online helps create our to-do list, allowing us to efficiently meet your needs. That efficiency gives us a savings that we’re quite happy to pass onto our customers. Checking and cleaning of your A/C’s evaporator. Checking and cleaning of the condenser. Replacing your filter if needed (a clean filter reduces energy use and saves money). 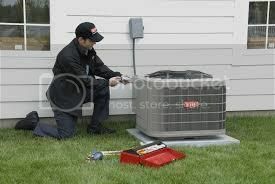 Making an overall inspection of your air conditioning unit to make sure it’s in good working order. The online form simply asks for your name and email address. Phone and physical address are optional. If you’re already one of our customers, we should already have those. If you’re new to Engelsma, then adding that info is helpful. Add any comments you need to tell us, and that’s all there is. Don’t wait until the flowers start blooming, or you might not remember until your July 4th cookout. Don’t even wait until all the snow melts. Don’t wait at all. Cross it off your to-do list and put it on ours by clicking on the A/C spring tune-up link now before you even fini…. This entry was posted in Air Conditioning, HVAC. Bookmark the permalink.